Optimize warehouse operations to drive efficiencies that improve inventory accuracy, complete on-time shipments, increase operating margins, and create an environment for faster and better informed decisions. TEKOA's Integrated systems provide easy access to the big picture. 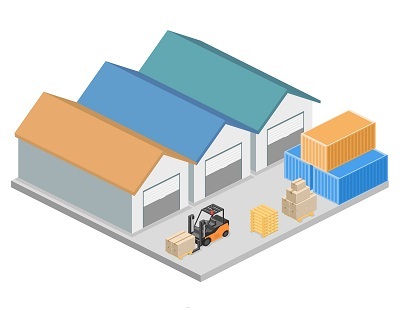 Technology solutions offer greater visibility into inventory and business processes, allowing distributors to optimize their warehouse operations to drive efficiencies that improve inventory accuracy, complete on-time shipments, increase operating margins, and create an environment for faster and better informed decisions. TEKOA ERP brings enterprise functionality with cloud based modules that bring a unified visibility across your organization. With easy integration to legacy systems, TEKOA ERP puts actionable business intelligence at your fingertips. Leverage historical insights across finance, sales, service, and operations, to know what is selling now, what sold this time last year, what is no longer selling, and what your customers’ buying patterns are. Key knowledge for forecasting demand, reducing excess inventory, improving fill rates, and boosting overall business flexibility productivity and profitability. Mobile optimized, use handheld bar code computers to track and maintain inventory transactions. Integrated Web B2B portal by TEKOA give your Customers the ability to order online and inquire about product availability. With TEKOA ERP, you not only get WHAT you need, WHEN you need it, with mobility solutions you now get access WHERE you need it. Improve sales and service calls with customer and product information in hand to provide immediate and personalized service. Automate inventory management and pick-pack-ship processes for faster and more accurate delivery. Tie in eCommerce solutions and turn B2B and B2C relationships into revenue. Optimized to deliver a true OmniChannel presence, TEKOA eCommerce improves customer satisfaction and unifies brand identity regardless of sales channel. Integration—Automation—Mobility: the What-When-Where solutions from TEKOA. Perform warehouse inventory transactions in real-time using handheld devices with integrated bar code scanning. Review quantity on hand and availability, process procurement and fulfillment transactions right on the device and have the information input to TEKOA ERP in real-time. Increase the accuracy and efficiency of your warehouse transactions with handheld bar code devices from TEKOA. Automate inventory and fulfillment transactions between TEKOA ERP and your customers with Electronic Data Interchange. Streamline and automate inventory related events to reduce errors and increase productivity. Electronically link your Suppliers to automate the procurement process. Have Purchase Orders automatically sent to your key suppliers. Improve lead times and material requirements planning. Integrate 3rd party warehouse locations so your inventory values and those of your warehouse partners are in sync and accurate.